January 17, 2011 January 17, 2011 Dan O.
I’m still contemplating who’s going to be my best man. In this bromance, the cinematic equivalent of a rom-com buddy flick, Paul Rudd plays a recently engaged guy who’s got the bride-to-be of his dreams but lacks an all-important significant other when it comes to their pending nuptials: a best man. On a determined hunt for a stranger who will stand up for him, he eventually meets a candidate (Jason Segel) with wedding-party potential. Jaime Pressly, Rashida Jones and Jon Favreau co-star. So this is probably one of the most simple, and easy to follow premises of all-time. Basically go into this expecting to laugh, and you will. The comedy is what makes this film very enjoyable. There’s a lot of good jokes here, even some one-liners that you will be quoting with your buddies for a pretty long time after your done watching this. I probably smiled, and or chuckled more, than I actually laughed, but there are a couple of belly-laughs here, you just got to wait awhile for them to come. For me the dramatic aspect of this film didn’t really work, but I mean it does touch on some good aspects of friendship, but it doesn’t fit so well with the comedy. I also wished there was more insight onto these characters and how their feelings about everything, but I guess I’m just expecting too much in that case. Most of the laughs come from these two hilarious performances from these amazing comedians. Paul Rudd is terrific as the nerdy, awkward dude, that says certain stuff, and has no idea why he did or said that certain thing. It’s funny to see Rudd play this character and do it so well, cause we’re used to seeing him do this cool, funny, and charming dude, but here he’s basically playing a geek, but still stays charming. Jason Segel is perfect as the off-beat slacker, Sydney Fife, and he just is a perfect match cause he matches the dude-like qualities of Sydney, and still keeps it all charming. Their chemistry does feel genuine, and carries a lot of the scenes that could have came out as pretty dull. Their perfect comedic timing together, and how they just play off each other works, and really does feel like an actual friendship. 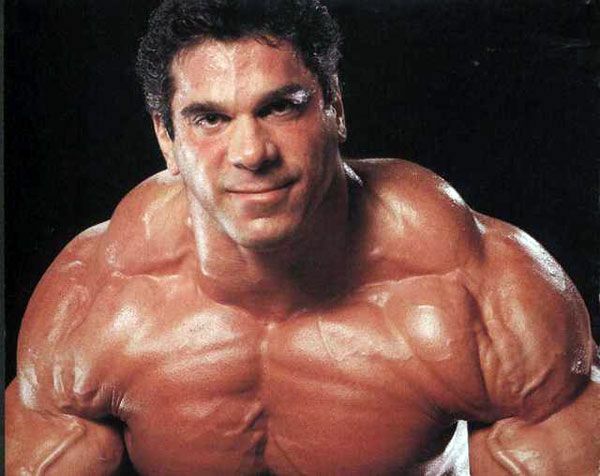 The supporting cast is also good with plenty of big names like Rashida Jones, Jaime Pressly, Jon Faverau, J.K. Simmons, Andy Samberg, and of course everybody’s favorite Hulk, Lou Ferrigno. Consensus: With a simple premise, the cast uplifts this film with its perfect comedic performances, and the fact that it’s just a great time to watch and have fun. Also gave it a 7. Nice movie and the “Slapping tha bass!” had me in stitches. Hahah slapping tha bass is perfect. This is a 10 for me. Absolutely hilarious with a really clever and subtle social commentary. Damn my man! You really did like it then! I thought this was more amusing than funny. Not a bad bromance movie but it felt like a rehashed Judd Apatow film. 6.5 or 7 would be the score I give to this too. Yeah, it’s not awesome, it’s basically good for the time it has. Hahah it really should be, but they all make it better. dude, i swear we’re watching alot of the same movies around the same time…lol i jst watched this again last night. did a review a few months back. it was ok. had its moments, but seemed, to me, like it was trying to be more drama and less comedy in the parts that didn’t have Jason Segel. Thanks man, I see what your saying! This is one of those goes-down-easy, watchable, and undemanding comedies that I can enjoy even if I come in halfway through. Segel and Rudd get along well enough and there’s plenty of wackiness and occasional raunch to keep my interest, though the real winner of I Love You, Man is definitely John Hamburg. It’s a minor film for its stars, but a big film for the somewhat fresh Hamburg; hopefully it helps him go places in the future. It’s good, funny stuff that isn’t amazing, but it’s just alright. Good stuff!